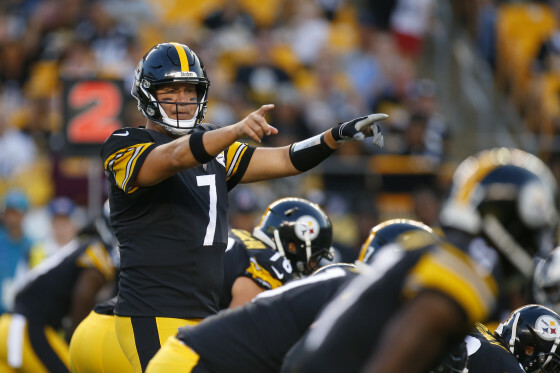 Tag Archive | "2018 AFC North Preview"
The Steelers don’t have many runs left in them with Ben Roethlisberger at quarterback, so look for the Steelers to play with that sense of urgency all season long. Mike Tomlin is definitely a ‘fortunes favor the bold’ philosophy head coach, and I expect that to contribute to both victories and losses, hence the 10-6 prediction. I don’t expect the Le’Veon Bell holdout to last much into the regular season; if it even makes it that far. Players simply make too much in a game check to forgo them. Antonio Brown is a wide receiver who should be in consideration for MVP despite the stigma that comes with being a wide receiver as far as value to a team. While their offensive line is not spectacular, Guard David DeCastro is and expect him to be in the mix for All-Pro. This team will suffer on the defensive side of the ball without Ryan Shazier (I would be stunned if he plays at all this year). I’m curious to see if Joe Haden can ever return to his elite level at cornerback as well. The Steelers are running out of time with this core and need to make it pay off soon. There is literally no way to comprehend how Marvin Lewis still is the Head Coach of this team. Lewis is by no means a bad coach, but he has run his course a long time ago with this team and somehow avoided the ax after last season when it appeared for all the world he was gone. With that being said, the Bengals could be a dark horse this season. Cordy Glenn has been an underrated tackle his entire career up in Buffalo, and I expect him to solidify what was left by Andrew Whitworth’s departure. I think Joe Mixon could have a breakout season this year, and I’m very high on his potential. The defense will once again be led by their strong defensive line, though some departures over the last few seasons have weakened that unit a bit. Dre Kirkpatrick has been a solid corner, but has not become the elite corner I thought he would be. Cincinnati May make some noise this year, but we have see where that usually ends under Marvin Lewis. There is potential for the season to go either way with the Ravens this year. If I had to guess, things will be more likely to go down than up. Joe Flacco is a proud guy, but, if Baltimore doesn’t get off to a good start, there will be calls for rookie Lamar Jackson to start and that would cause a rift in the locker room. I think Jackson will be a good quarterback, but I don’t see the hype for him to replace Flacco this season. Baltimore has also tried to use a patchwork approach to their running back position since Ray Rice has been gone, and it hasn’t worked. I think this lack of a consistent running game has contributed to the doubts about Flacco. He has simply been asked to throw the ball too much. Let’s see if Alex Collins can take the helm for the running back position. Defensively, age is catching up with them, but Baltimore does draft a lot of defensive players. The Jimmy Smith suspension is going to hurt as well, and let’s see if Marlon Humphrey can elevate his game. Too many questions for me to see Baltimore above the .500 mark. Cleveland has been so awful the past two seasons any improvement would be vast. Tyrod Taylor will provide stability to the quarterback position as top overall pick Baker Mayfield waits in the wings. Cleveland no longer has Joe Thomas at tackle, so I would expect the Browns to keep the veteran Taylor in there until they are sure about the line. Josh Gordon hasn’t played much the last few years, so I’m not sure what impact he will have right away. Jarvis Landry is a playmaker at receiver and that’s something the Browns desperately need. On the defensive side of the ball, it’s going to be important that Jabrill Peppers and Myles Garrett continue to improve and show they can be anchors of a defense. Cleveland shouldn’t be an embarrassment this season, but I thought that last year. We saw how that worked out.